It feels like almost yesterday when we kicked off the competition with the hardware handover at Scan back in September. 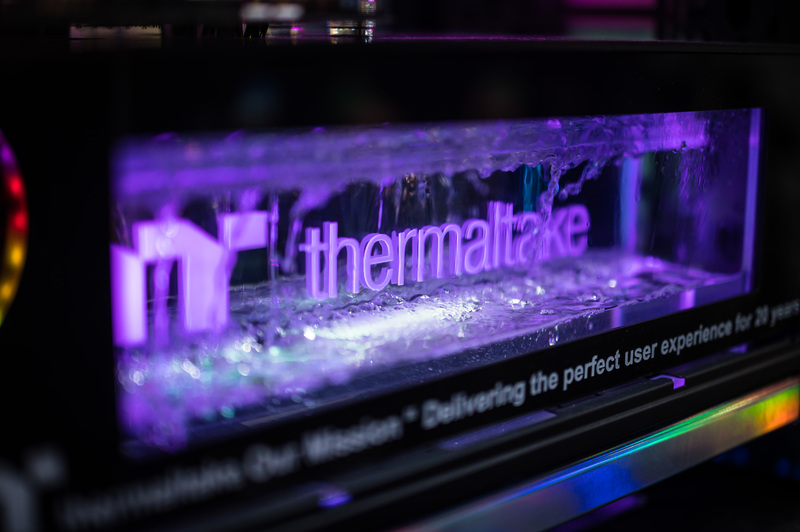 Our five plucky modders were each handed a trunk-full of hardware and tasked with crafting it into something befitting of Thermaltake's 20th anniversary. Not only did they do that, but they did it with style, with each modder having their own unique take on the brief. 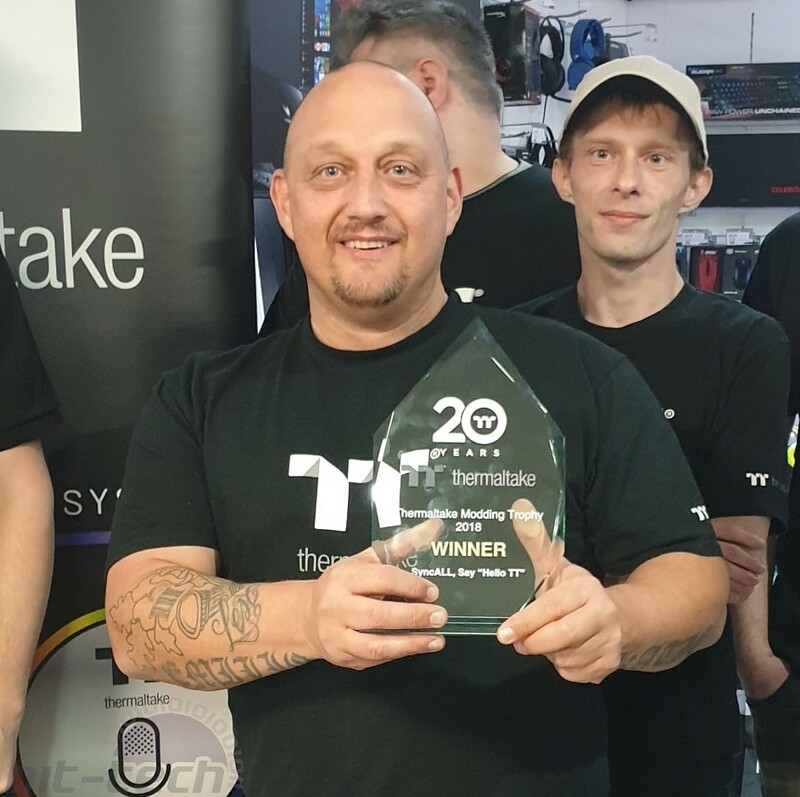 Ultimately, though, after the public vote here on bit-tech along with some intense debate within the judging panel, Jason Simm aka Samarlian took home the first prize, scooping up an all-expenses-paid trip to Computex 2019! It was fantastic getting to see all the rigs in person on Saturday, and even though they say a picture is worth a thousand words, there really isn't a substitute for seeing a completed build up close with your own two eyes. At a show there's nowhere for imperfections to hide; one has to deliver fully on what they set out to do. This is certainly what impressed me the most about all the builds on show: They were all finished to a very high standard. 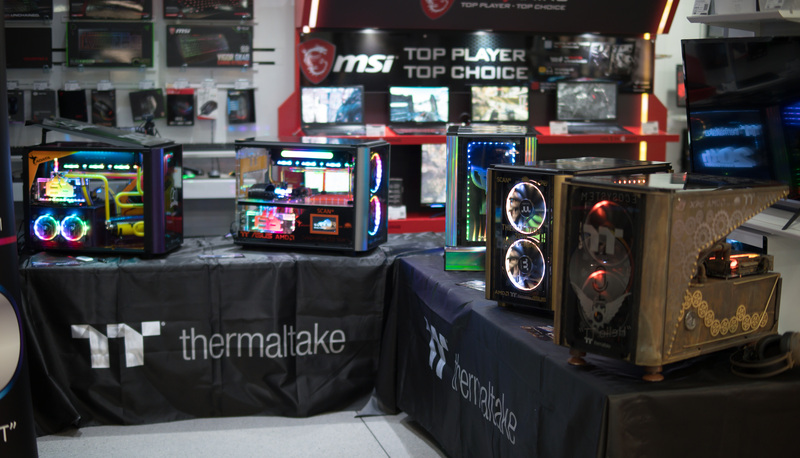 Each modder should be proud of what they created, as all five builds were exceptional. 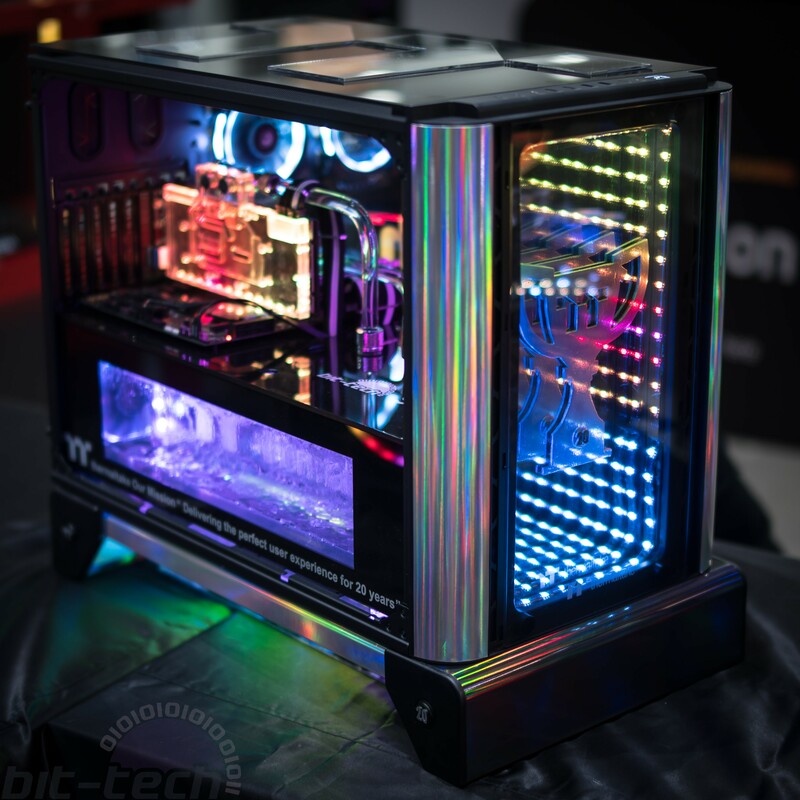 Jason's build 'Neon 20' is a celebration of all things colourful and bright. Into the front he fitted a large infinity mirror with the TT trophy etched inside. This has an oddly jarring effect when walking around to view the case interior; you know it's an illusion but the effect is very strong. Similarly, holographic film was used around the outside to add to the neon aesthetic, and given the scale of the case it's really rather effective. As if the case weren't big enough already, Jason added a welded framework to the underside to raise it off the ground. 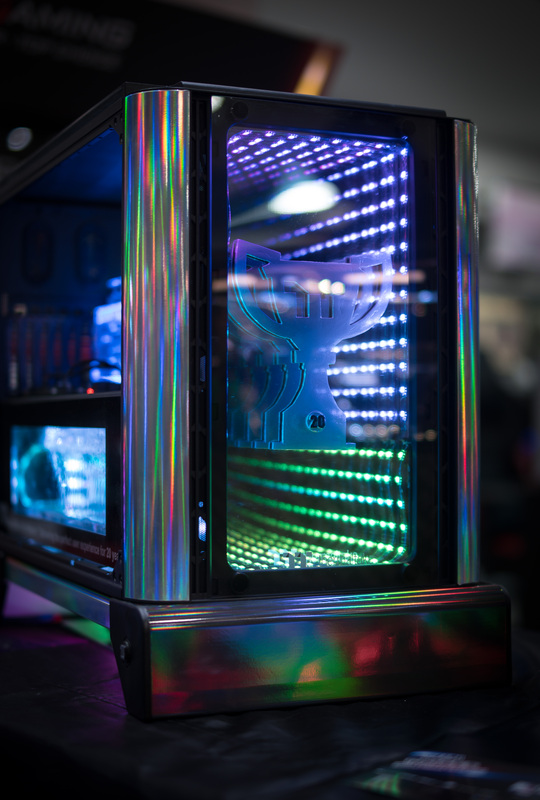 This allowed him to place the fans and radiators under the case itself, utilising their lighting effects to provide an underglow. Inside the chassis, things were kept minimal and clean. One of the key focal points, however, is a huge internal waterfall reservoir hand crafted for the build. 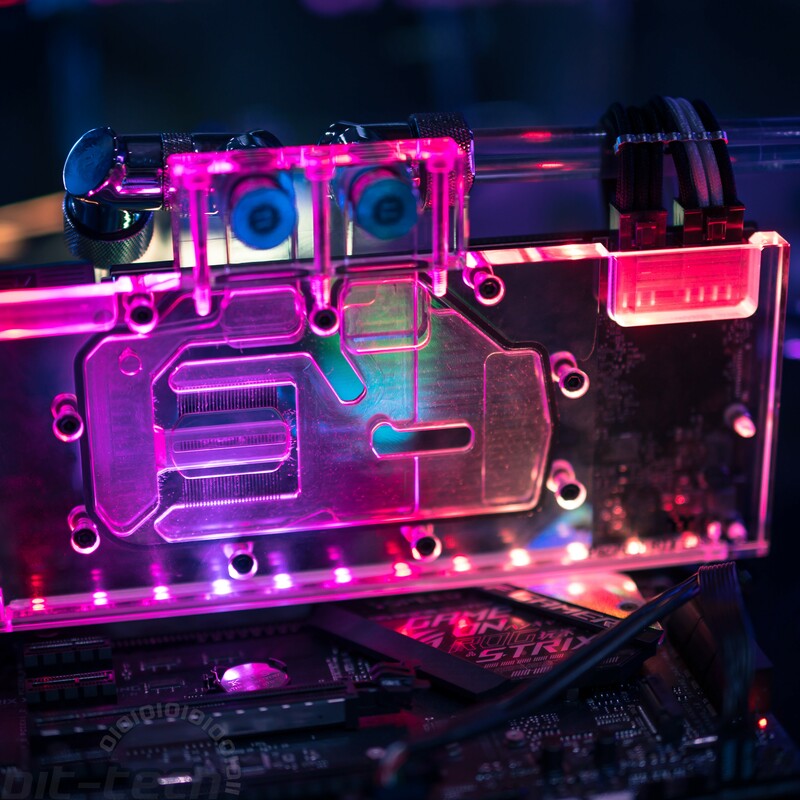 According to Jason, this beast swallowed up close to three litres of coolant and took many hours of tweaking to achieve the correct flow levels and pressures for the desired dripping effect. The result is a pleasing sploosh sound, not dissimilar to that of an aquarium. 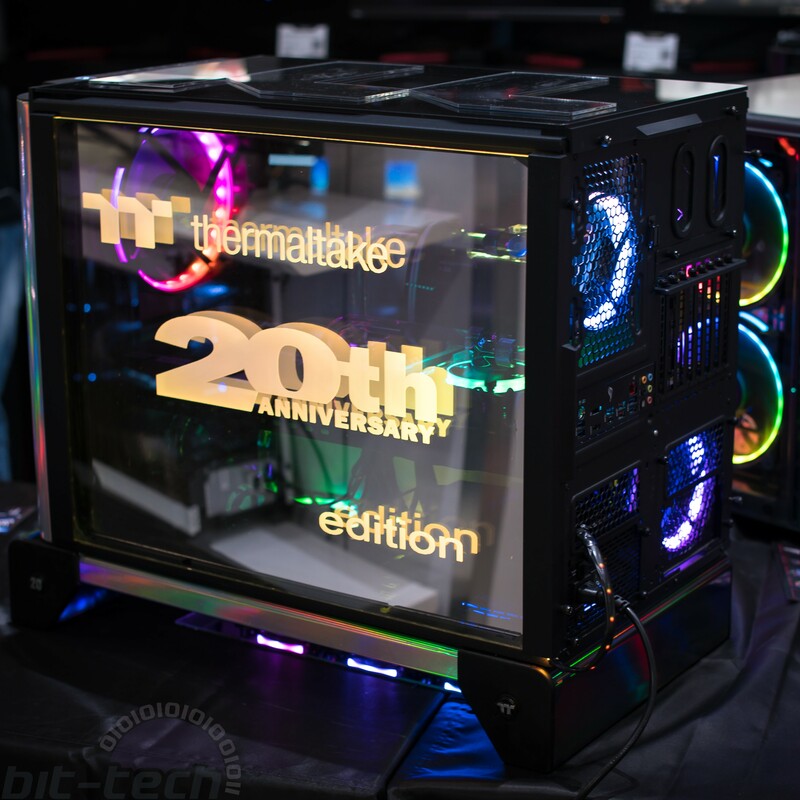 The theme was carried further to the back of the case, with the side panel etched to show off the 20th anniversary graphics. 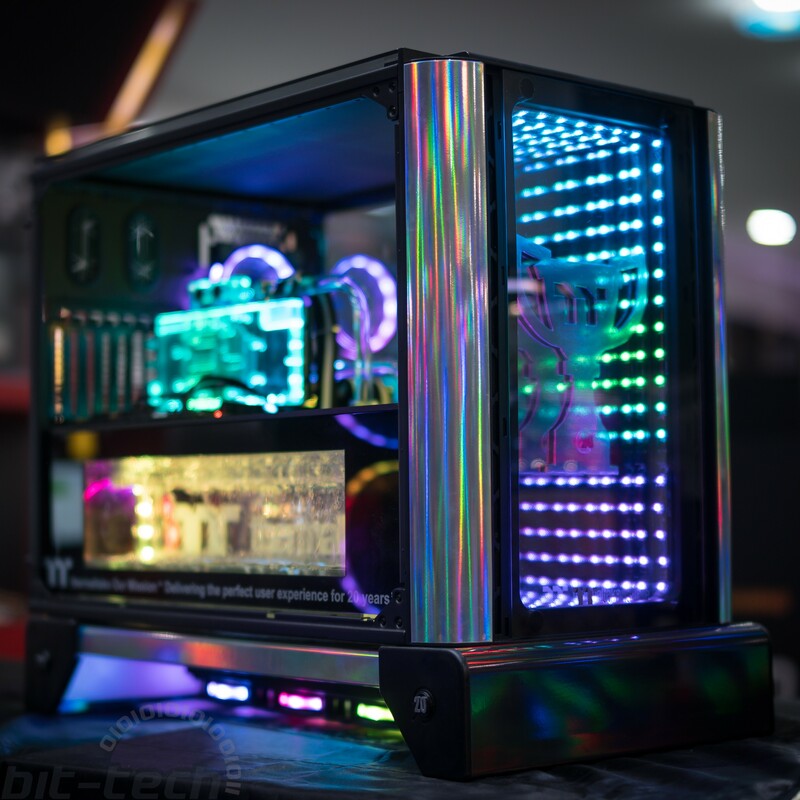 The build is completely populated with lighting, most of the colour coming from the LEDs dispersed among the components and chassis. The rest of the event was spent gobbling pizza and taking part in the various events being held at Scan, including a number of component raffles and of course the speed build contest. We had a great time getting to hang out with all the guys, with Scan HQ being the perfect setting for a day of beautiful PC geekery! Congratulations to Jason once again; we'll be seeing you at Computex!